Advances in medical knowledge and technology has brought with it a welcome increase in life expectancy. Diseases and sicknesses that would have ended life in the early 1900’s are now easily handled through medical advances. Consequently, between 1900 and 1990, the number of individuals aged 65 or older grew from 3 million to 31.5 million. Projections show that it is unlikely these numbers will slow down. With this gift of longer life for our elderly loved ones comes unique challenges that our society has not been prepared to handle. Our culture is designed to cater to the mobile, independent individual. But many of the elderly have lost their ability to easily leave their home. That’s why the geriatric dental office NYC needs was birthed. In reality, it’s a mobile dental office in NYC designed specifically to meet the needs of the elderly. This NYC geriatric dental office comes to you! 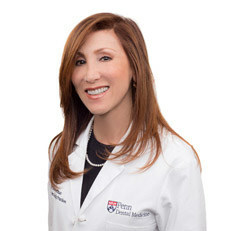 Dr. Alisa Kauffman saw from the onset of her dental career that there was an unmet need for oral care for the elderly. She realized that many of these individuals were unable to leave their homes or communicate effectively to their previous dentist. With a heart for this demographic, Dr. Kauffman immediately began providing a service that few even knew was needed. right in the comfort of your own home. Dr. Kauffman will travel anywhere within the entire Manhattan district, bringing with her all the supplies needed for any oral care that would traditionally be received in a geriatric dental office NYC offers. She is able to provide all the services you or your loved one would need, from fillings to dentures to x-rays and much more. Most importantly, however, Dr. Kauffman exudes compassion, patience and extreme skill in handling any difficult issues that may arise from in-home dental care. She has a heart for her patients that puts them instantly at ease. If you’re looking for a geriatric dental office NYC offers that can service you or your loved one, look no further! Geriatric House Call Dentistry is the best available and the most convenient option for your needs.